The work of a forgotten Spokane builder. In the early years of the 20th century, Gilbert Chamberlin and his son Ernest created much of the West Central neighborhood. 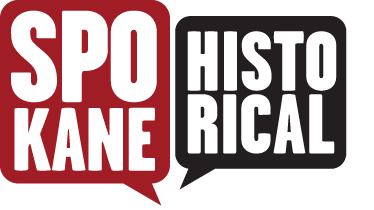 Spokane was a booming city in the early part of the twentieth century attracting a great many land prospectors from across the country. Newcomers such as William Nettleton and William Pettet may have platted the West Central area in 1887 but it was Gilbert Chamberlin and his son Ernest who designed and constructed many of the first houses. 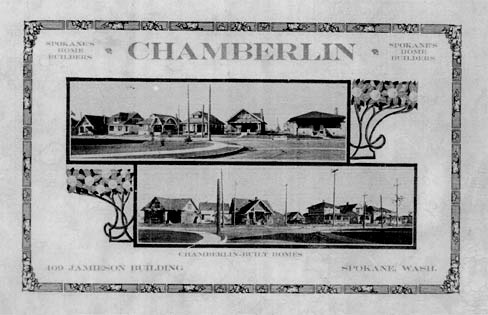 Chamberlin had already made a name for himself in other areas and had built several suburban neighborhoods in Kansas and Utah before arriving in Spokane in 1899. By 1912 he had built hundreds of homes for the bustling west central neighborhood. He credited his success to being a good businessman and a fair dealer. He also noted that the area was in great demand; streetcars were popular and the Natatorium Park brought families and visitors to the area in their hundreds. In 1912, Chamberlin had provided simple bungalows to over four hundred new residents to West Central and continued to invest in real estate. Historian, N.W. Durham, wrote of Chamberlin, “many of the successful men of today owe their advancements in part to the Chamberlin companies, whereby they have been enabled to gain homes of their own and make a start in life.” Much like the Sears Catalogs, the Chamberlin Real Estate company also created catalog designs of homes that were very distinctive and helped shape the look of the neighborhood. A wonderful example of the Chamberlin design is the house at 2627 W Gardner. Although the interior of the home has been modified over the years, the exterior of the house has remained the same and still features many distinctive architectural details of a classic Queen Anne bungalow including the pitched roof, multiple cross gables, and decorative corbelled chimney cap. The house was also featured in the 1907 edition of Spokane’s Home Builders and is now on the Spokane Register of Historic Places. Take a look at this beautiful home and see if you can spot other Chamberlin homes in the area! The Chamberlin Company supplied house plans and loans and mortgages for prospective home buyers in Nettleton's Addition. 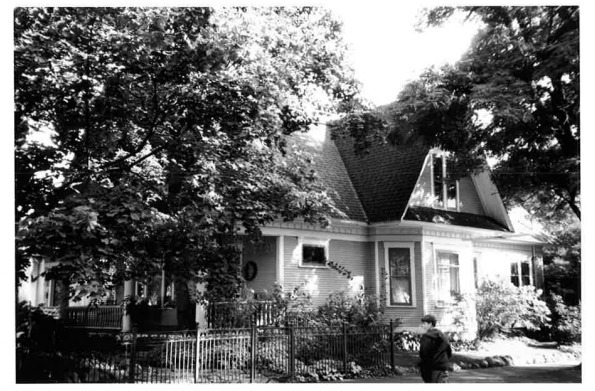 ~ Source: National Park Service - Research Report: Nettleton's Addition Historic District in Spokane, Washington by Diana J. Painter and Kevin Brownlee. Joanne Percy, “The Chamberlin House,” Spokane Historical, accessed April 20, 2019, https://spokanehistorical.org/items/show/648.